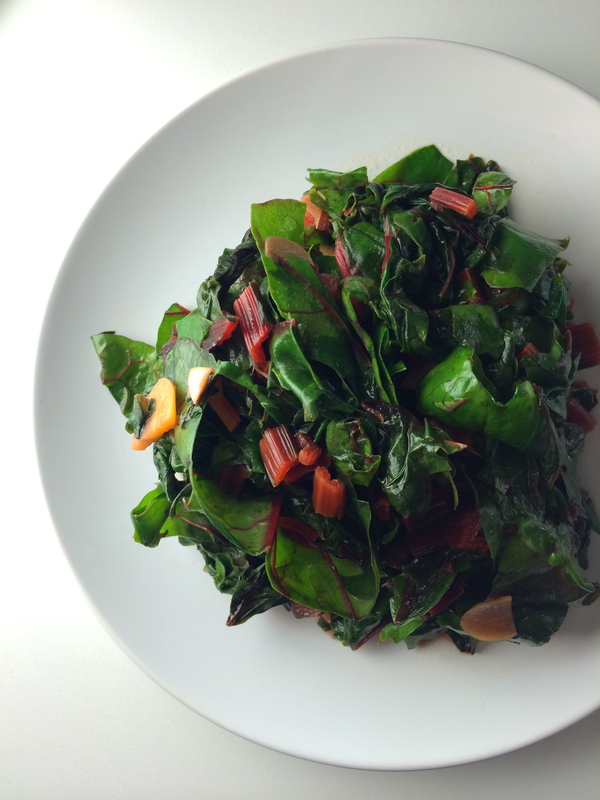 Swiss chard. What a great green vegetable. It can hold its own when tossed amongst pastas or chickpeas and bring out the flavor in a well prepared chicken or steak dish. Perhaps its best quality, in my humble opinion, is that it is an easy green vegetable to wash. Let’s face it–the reason I don’t make a green veggie every single time I cook is that I absolutely hate washing bits of dirt out of the myriad of places it has hidden itself amongst greens. Lettuces, leeks, and spinach are bad, but cilantro… Man, don’t even get me started on cilantro. I made this lovely swiss chard dish last night as I felt our nutrient-less dinner of mac & cheese needed some serious boost of vitamins. It was well worth the washing time. 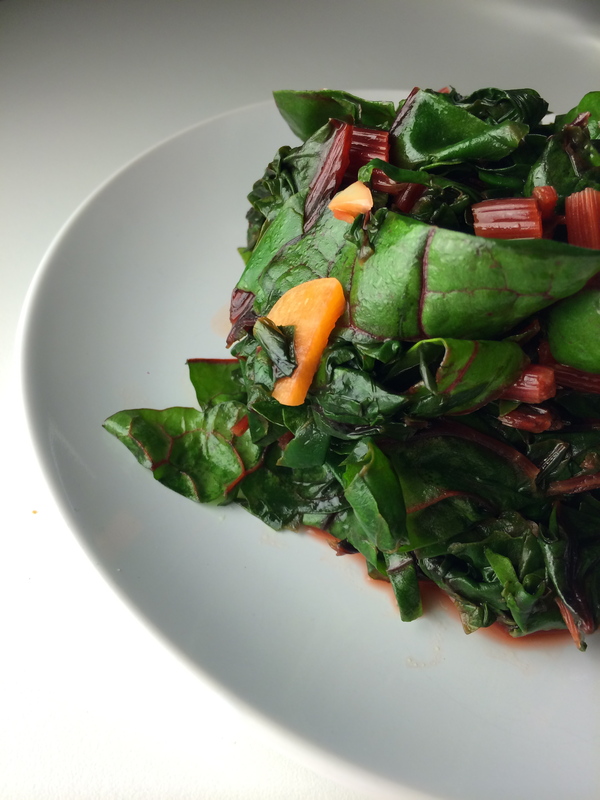 SAUTEED SWISS CHARD with GARLIC and LEMON – serves 4 as a normal sized side or 2 if you like your veggies as much as I do. Heat olive oil and butter in a pan over medium heat. Stir in chopped stems, garlic, and ½ tsp salt and cook until stems are soft, about 5 minutes. If garlic starts to brown, lower the heat to medium low. Add the chopped leaves to the mix, ½ tsp salt, stir, and cook until wilted. Right before serving, stir in the juice of 1 lemon and add additional salt if necessary.